Welcome to this episode of the Real Fast Results! This is a very special episode. You know, if you can figure out one or two ways to add one or two percent of your productivity within a 3 month, or even a six month, period of time, over time those incremental increases in productivity equal increased dollars in your bank account. Today’s guest is Kelly Johnson, and she is the proprietor of Cornerstone Virtual Assistants. 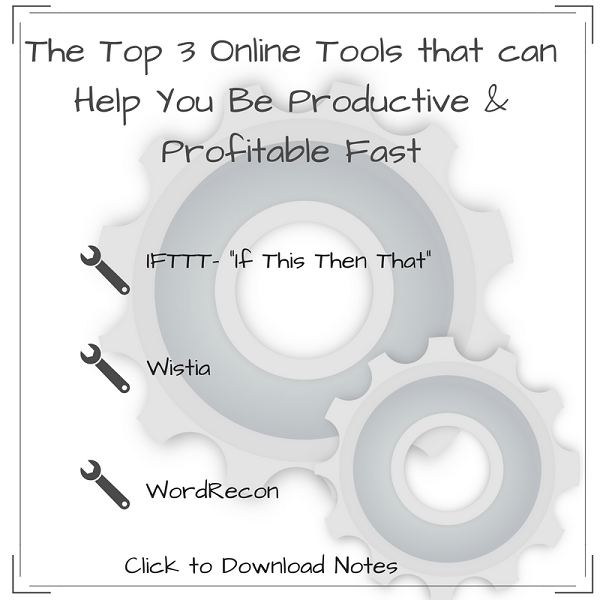 Essentially, we want you to stick around and listen because we want to give you the top three tools, that I would like to share, in helping you be more productive and really help you with your marketing as well. I’d like to show you how you can really focus and zero in on that for your business. We use these kinds of tools because I understand that technology can be overwhelming, and because that can feel that way for a lot of people. These tools are more straightforward and more user friendly for people to be able to master. You don’t have to have a lot of technical knowledge to be able to implement them, and it allows you to employ them pretty quickly. Once again, you can get some pretty fast results and be able to see how that’s helping you in your business. If you want to contact me with any questions, either about these tools or other tools that you might be searching for, my website is CornerstoneVA.com. My email address is Kelly@CornerstoneVA. You can also give me a call at 303-840-5994.